Longtime chapter member Howard Anderson passed away on August 10th. Howard Anderson was a good man. 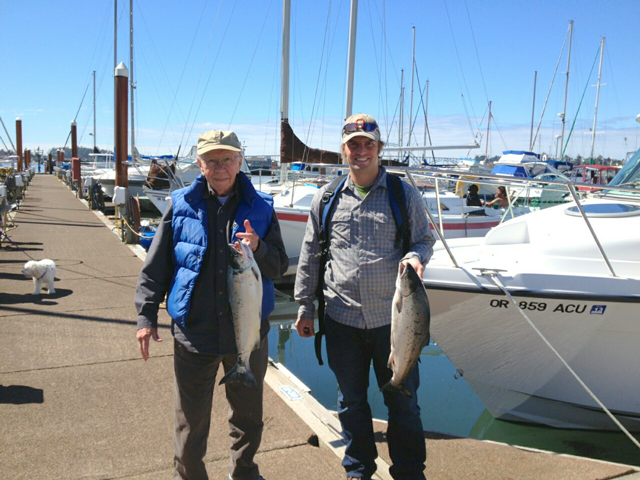 I liked Howard, he was a good volunteer and we fished together a couple of times. Howard volunteered for many special functions especially for the big Association auction each year. Not many know it, but I always had him and his friend, Joy Gannet keeps an eye on the smaller valuable items. Many years ago we had a couple of valuable items pocketed. It never happened with Howard on the job though! He also calmly gave directions to bidders looking to check out, a bit disoriented after that extra glass of wine, and helped to keep things running smoothly. Although he didn’t talk much about it, he was in the United States Marines during the Second World War, serving in the amphibious landing craft in some of the hardest fought Pacific island campaigns. He knew I was interested in that aspect of history, so he told me a couple stories, but didn’t dwell on it. To him it seemed like a hard job that needed doing, but now past. Better to focus on today. Howard was a quiet fellow overall, helpful and dependable and a great chapter member.